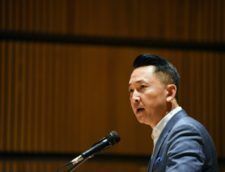 This interview of Viet Thanh Nguyen by David Yang was featured on the State of RE Podcast, which can be heard on iTunes. David Yang: If you recall and remember … re-member, re-call, on the first episode of the State of RE Podcast, me and coach For Real actually talked about good reads and good reviews. The book that I had recommended for you all was “The Sympathizer.” Fortunately enough, I was able to sit down with Dr. Viet Thanh Nguyen, and he was kind and gracious enough to make time for us. In this episode, I am so excited to bring this interview that we actually got to do with him. But before we go there, I’m gonna play it back, I’m gonna loop it back, I’m gonna play it back, the clip from episode one, which me and coach For Real recorded back in 2017, August this past summer; we talk about good reads and good reviews. David Yang: Now, mind you, I did not imagine, a few months later we would have the opportunity to sit down and interview him and have a conversation about his book, the art of writing, and all the things we talked about. We’re gonna run this back for you real quick; check it out … Good reads, good reads to recommend people. The book I recommend this week is called, “The Sympathizer,” which won the Pulitzer Prize for 2016. It’s written by a local guy from the San Jose area. 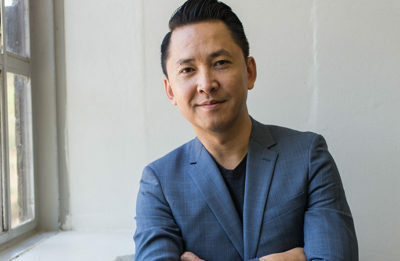 His name is Viet Thanh Nguyen. Speaker 2: How do you spell that? David Yang: V-I-E-T, T-H-A-N-H, Nguyen. If you know any Vietnamese person, it’s spelled the same way. It’s N-G-U-Y-E-N.
Speaker 2: I don’t know any of … I don’t know none of that. David Yang: But it’s a good book, it’s a good read. My man’s from the local area. He teaches at USC now. It’s a great book about … it’s a fictional book, but it’s a dark humor, dark mystery-style book that talks about a buy who, basically, after the Vietnam War, takes on two identities as a spy in the United States. Of course, this is fictional, but he pulls from a lot of factual events. It’s a really good book and I recommend that as a good read this week. They’re probably gonna end up making it into a movie, so check it out. Speaker 2: That sounds dope. David Yang: That quick clip of me, Coach For Real going back and forth about good reads was about Doctor Viet Thanh Nguyen’s book, “The Sympathizer;” which, I should add is a New York Times Best Seller. With that being said, we’re gonna go ahead, play this interview with Viet Thanh Nguyen, and following that, we’ll have a discussion a little bit about some deeper issues and the lessons and the conversations and reflections that I had through the interview and the conversations I was able to have with him before and after, as well as hearing his lectures and his readings over this past week. David Yang: In this specific interview, we’re talking his impetus and inspiration and how he came to write the novel; we’re talking research involved and how he wrote the novel, the facts versus the fiction; we’re talking the backlash and controversy with the book within the community; we’re talking about bridging the gap, the generation gap that people don’t talk enough about, the symbolism behind that in this book. We’re talking education and breaking the stereotypes, specifically in the Southeast Asian API community. David Yang: We dive and get into his top five writers that influenced him and his writings. We even get into the books that he recommends or that he’s reading right now that are good reads and good reviews. Check it out. Outside of the interview, we go into just a deeper, more realistic conversation and look into a Pulitzer Prize winning author and how he approaches his craft, as an art form, as a novelist, as a writer. David Yang: He’s also published two other books that are out there right now if you guys wanna pick it up. 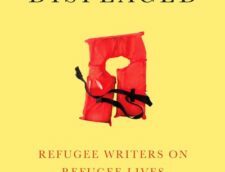 The book, “The Refugee,” is a bunch of short stories that he put together over the course of 17 years. Again, we’ll talk about this after the interview. His other book is, Nothing Ever Dies. You’ll be able to find both these books along with, “The Sympathizer” on our Facebook, Instagram, Twitter feeds. I’ll be posting these things out for you all, so if you wanted to go check it out on Amazon, order it, Audible, all those things; it’s available. David Yang: One last thing, a quick heads up: we were in an open space for the interview, so forgive me for the sound. There’s gonna be some open-noise sound in the open room. Forgive me for the sound, and now without further ado, I bring to you, Viet Thanh Nguyen, on the State of RE Podcast, Episode nine. Speaker 3: Whenever you’re ready, sir. David Yang: The first question was, what was your impetus and inspiration for writing “The Sympathizer” book? Viet Nguyen: My agent told me I needed to write a novel, ’cause I had a short story collection that became, “The Refugees.” But he said, “If you wanna sell these books in New York City to the mainstream publishing houses, you have to write a novel.” That was the impetus, but I knew from the very beginning I wanted to write a novel about a spy, because I love action plots, I love spy novels, detective stories. I wanted to write a book that was entertaining, in addition to being political. The spy genre really allows that to happen. Viet Nguyen: The impetus is really, I wanted to write a book that would entertain and also provoke people, because I felt that even though this book was definitely gonna be about the Vietnam War, and that a lot has been said about the Vietnam War, that what I wanted to say about the Vietnam War had not been said. My ambition was to write a novel that would get people to read it because it would be fun, but then also say some very serious critical things, including offensive things, and maybe cause some controversy and be angry. David Yang: Get people’s attention. David Yang: You gotta get people angry. Viet Nguyen: I don’t know how you feel, but I think that there’s a lot of Asian American writing out there that is not angry; there’s a lot to be angry about, but we tend to be quieter. Viet Nguyen: I was influenced a lot by television and movies, because the time period in which I wrote the novel was 2011 to 2013. At that time period, I had not watched TV for a decade. Viet Nguyen: I was too busy. But in that time period, ’cause I was writing the novel, I had nothing else to do; I wasn’t teaching. I watched all the hot TV shows that had been around for the previous decade, like Mad Men, Breaking Bad, The Wire; especially The Sopranos. The dramatic structure of those things really influenced me. Also, the dramatic structure of movies. I’ve written a bad screenplay once. I could see this as a novel, but also something that would work as a TV series or as a movie. Viet Nguyen: I had an outline, a two-page outline, which is what you’re supposed to do when you’re writing a movie. That gave me the barest outline of the plot. The ending of the plot was in a reeducation camps. I knew it was gonna end up there. I did do this because I wanted to make sure that the book’s plot made sense. It’s supposed to be an action story, so you have to know, at least generally where things are gonna end up. Viet Nguyen: But in the outline it was supposed to end with a big gunfight in the reeducation camp, which didn’t happen. As I wrote the outline, I thought, ‘This is too Hollywood. It’s probably not gonna end this way. But I just have to have a target that I can aim at and hopefully at some point it will occur to me what the ending is.’ Two-thirds of the way in I realized what the ending was gonna be. David Yang: Powerful. The followup question to that was, I was guessing … this was months back, that they would probably turn this into a film. Has anybody approached you about turning this into possibly a series, a film, or anything of that? Or are you not allowed to share about that? David Yang: Especially the way you challenged the concept of what the reviews were saying, the theories which you had talked about, that were shared earlier today; which is one of the questions I’ll ask in a little bit. Viet Nguyen: The 14th person who bought it, the editor was English. He’s not an American, and he turned out to be mixed race. That just indicates to me that, again, Americans have a lot of hangups about this history about Southeast Asia, Vietnam, the Vietnam War, and to have someone who comes along and tells them something they’re not used to hearing can be very unsettling to them. David Yang: That’s powerful. The next question would be … I had asked you previous last night, but just, the research process of it. It was very thorough and detailed from, Camp Pendleton, Moreno Valley, Anaheim, Bolsa, Westminster. What was your research process like, from Southern California; but also, did you fly out to Vietnam? Did you visit some of the camps? How was the experience overall? Viet Nguyen: Well, I was working on “The Sympathizer” after I had spent a decade working on a book called, “Nothing Ever Dies: Vietnam and the Memory of War.” I did a lot of research in that book about the history of the war and how it’s been remembered. I did go to Southeast Asia quite often, 2002 to 2012, I went five or six times; about a year all together. Most of it was Vietnam, but I also went to Laos and Cambodia. I saw a lot of these physical sites, absorbed some of the sounds and the smells and the odors and all that kind of stuff. Viet Nguyen: That helped to lay the background for “The Sympathizer” when I got around to it. I already knew a lot about the Vietnam War also, just from being someone who as a kid was really fascinated by it and was watching a lot of movies and reading whatever books I could get. But “The Sympathizer” as a novel required more than that even. To be a novelist, to write a scene, you have to know a lot about just the physical things that were going on there. Viet Nguyen: For example, the opening of the novel is the fall of Saigon, takes about 50 pages in the novel. I read about 10 or 15 books about that. Maybe one percent of that appears in the novel, or less. That was enough information for me to reconstruct the fall of Saigon from a period of weeks, to day-by-day, then hour-by-hour, then literally minute-by-minute by the end of those 50 pages. I could do that because all those accounts were actually there in those books; you literally knew what was happening minute-by-minute in the last day or two of the fall of Saigon. David Yang: A lot of research in that piece, specific. That’s powerful, ‘Cause a lot of my students, and when we talk, that’s one of the things that they’re like: “Are all these events true?” I was like, “Do your research, ’cause most of those events were really happening as you explain.” Obviously, it’s from a fictional perspective, but the events were nonfictional events, right? David Yang: Same thing with Laos [inaudible 00:13:18], yeah. Same journey, so yeah. My next question for you was, were you ever afraid of the backlash, or were you concerned of the backlash from either side of the community? That’s something, as I read this book, and I was like, ‘I probably won’t be able to share this with some of my elders,’ just ’cause I know that there’s different perspectives. I found it really interesting as I was reading it and I was looking forward to asking you this question. Viet Nguyen: I knew when I wrote it that there would be controversy because I really did set out to offend everybody in this book. David Yang: You did a good job! You did a great job. Viet Nguyen: We grew up in these refugee communities of veterans and soldiers and just passionate anticommunists. If you deviated at all from that line, you’re branded a traitor, right? If you’re gonna write a novel and … I wanna tell what I think is the truth, and my truth differs from their truth, they’re not gonna like it. I wrote it from the perspective of a communist spy. I knew, and this is true, that there would be people in the Vietnamese American community who would refuse to read it just because it was from the perspective of a communist spy. David Yang: It was not debatable. That’s the one thing I was glad that you did do, to be honest, was that you had to make it clear to him that this was not the time for debate. But keep going, I’m sorry. Viet Nguyen: I was like, “That’s fine.” But I knew that, that’s how the first generation of his time period is going to react, because … rightfully so, they are very bound up with their history, their experience, their resentments, and their suspicion of both the Americans who betrayed them … that’s what he said … and their suspicion of the younger people who nothing because we didn’t live through that time period. There’s nothing you can do about that. David Yang: We would have these conversations about … he was like, “It was about survival. It wasn’t about … politically we didn’t understand communism or capitalism to the T, but it was about survival and joining a force that would support what we thought would give us the best chance to win.” We would have these conversations about survival, so that’s a really powerful, I think, conversation you had with him today. David Yang: ‘Cause you know, you want them to feel heard, but the other piece is you want them to understand that as a younger generation, we were still impacted by it in different ways. We have to deal with the bridge of carrying our parents or our ancestors’ load as well as bridging our next generation to the American culture. I think that was a really powerful, actually, situation today, and I think it showed a lot of the younger students and people in the room of what you are really trying to do. I appreciate that. David Yang: The next question I was gonna ask you was, which character did you have the hardest time writing about in your book for “The Sympathizer”? David Yang: Could it be Bon or Man? Viet Nguyen: Well, I think obviously my own narrator, ’cause you spent the entire book with him. The book is told entirely from his point of view. It was challenging, but also felt very natural at the same time. His complexities, it just felt was not an effort on my part to get into his psychology and his mindset. I think that in terms of harder scenes to write, one of the scenes that caused me a lot of difficulty was the conversation between my narrator and Sonny, the Vietnamese-American journalist, and Miss Mori, the Japanese-American woman they both love. David Yang: And so beautifully well-written. David Yang: As well as love and jealousy. It’s so intriguing to me. Viet Nguyen: How do you talk about politics without making it seem as if the author is just hitting you over the head with it? That was difficult to make that conversation involving all those issues that you mentioned just flow naturally. David Yang: Very powerful scene. Which character do you sympathize with the most? Viet Nguyen: I sympathize with all of them, I think. David Yang: Considering the title and considering … I just had to throw this question in there. Viet Nguyen: I sympathize with all of them, but I’m more obviously judgmental of some characters and others, like The General, The Madame, Claude; these are people who are doing things that I don’t agree with. “The Sympathizer,” the Narrator himself is somebody who’s doing stuff I don’t totally agree with either, but I sympathize with him the most because he is my character and he’s not me in any autobiographical sense, but he is me in the sense that I share with him this feeling of being a man of two faces, and of recognizing the necessity to see every issue from at least both sides. David Yang: Definitely. That’s the generation that we’re here, so that’s so powerful. My other question was, what was the reaction of your parents when they found out that you wanted to pursue English lit as a degree? This is directing now towards your past a little bit, but just as you pursued education … we talked about this briefly last night, but for the younger Southeast Asian students or just students who wanna pursue this from immigrant or refugee background, how did you convince your parents or how did you persuade them to help them support you in this? Viet Nguyen: I was lucky, I think, in the fact that my parents, while they are very conservative, also really believe in education. They were willing to be flexible about that. Not all Vietnamese or Southeast Asian or Asian American parents are willing to be flexible. When they say education, they mean a very narrow thing. I was lucky! My bother had actually got into college before me and he had majored in philosophy, but he’d also done Pre-Med, and went to medical school. Viet Nguyen: He told me, “Look, just whatever. Do English, but tell parents that you’re doing Pre-Med.” I did do Pre-Med for 11 or 12 weeks before I dropped. Then I told them I was doing Pre-law. Then finally did PhD. I think they were just happy that I was gonna get a doctorate of some kind. I got lucky, and I understand how difficult it is for some Asian American kids out there whose parents are putting all this pressure on them to go to medical school or whatever, do stuff like that. Viet Nguyen: I just remember meeting a woman at Brown University, Elite University. She’s Vietnamese American, in my audience. She was a manicurist. Her son was going to Brown and he was majoring in some kind of Humanities. I said, “What do you think of that?” And she said, “I totally support that, because he should do his education for him, not for me.” I just wish more parents would understand that and have that point of view. David Yang: As a counselor, as a professor in this specific field, until I receive the title of what I have now, my parents had a hard time with it. Being in the Humanities, being social sciences, so I find it really interesting. Knowing your story; I think that’s really impactful, so more students do need to hear that. How do they convince their parents, how do they make the argument of standing in this path that they wanna write or pursue education this level. Thank you for that. The next question I wanted to ask was, what are your top five most influential authors that you grew up reading and that was influenced by? Viet Nguyen: Comic books, science fiction, fantasy. All that stuff made me into a reader and a writer. All that stuff is important. But in terms of writing “The Sympathizer,” for example, I was thinking very specifically of Ralph Elisson’s Invisible Man. Nothing Ever Dies: Vietnam and the Memory of War, another book I wrote: the title “Nothing Ever Dies” comes from Toni Morrison’s Beloved, another important book. Maxine Hong Kingston’s China Men would be another one. David Yang: You already got that copy then. David Yang: Very powerful; thank you so much for that. 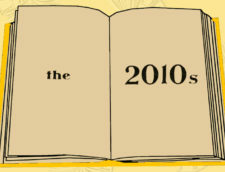 The next one, the next question I really wanna ask was, what are the top five books for now you would recommend? That you’re reading or you’ve read recently, that you’re like, ‘This is impressive’? Viet Nguyen: Well, I think that for those who want more about the Vietnamese American experience, I really recommend Thi Bui’s, “The Best We Could Do,” which is a comic book memoir about her refugee family in San Diego. Very powerful, very easy to read ’cause it’s in comic book version, very moving. Viet Nguyen: Then, I recently read or listened to on audio, Elena Ferrante’s Neapolitan Novels. Elena Ferrante is an Italian novelist. She wrote these four books, all about the lives of two young girls and tracing their friendship up through their senior years. I thought it was so powerful and really easy to read, but the amazing thing is how does somebody like me become fascinated about the story of two girls from Naples in the 1940s up until the present? A lot of it was, you could take their experiences and see that it could happen in San Jose, working class ethnic, San Jose, the struggle to become a person, to find a career, to find a vocation. This is what these girls are going through. David Yang: You tied in “The Sympathizer’s” Bon and the friendship with Man. That brotherhood was really interesting and intriguing to myself as far as what they had made a pact and decided on and what they felt they could share with Bon or not share. That brotherhood is universal or that sisterhood and how you wrote that. Any other books that you wanna dabble in and share or … ? Viet Nguyen: There’s so many. David Yang: I know, I’m sure you have a lot of [crosstalk 00:26:14] read and stuff. Viet Nguyen: Those are the things that struck me immediately. David Yang: Awesome. Alright, so I’m a 90s, 80s baby. I grew up with hip-hop, and that’s such a huge influence in my writing, my approach to how I [inaudible 00:26:32], how I teach. We do ciphers, we do battles, we do talks. What I would say is … The “Invisible Man” was a huge influence as far as you had shared. Even your son’s name, Ellison, correct? David Yang: I wanted to ask you, I found it really interesting how the ending of the book was closed out. It was not a Hollywood-Western perfect ending what people would want. The way he wrote the book and the way “The Sympathizer” actually closes out at the end was actually very impactful, and to me very … what’s the word I wanted to use? It allowed for the imagination to really wonder about what’s happening in our upcoming journey for him and the main character. David Yang: I was gonna ask you this question: was it more like a … you took it more like a battle perspective of like the counter argument to the “Invisible Man” in saying, ‘You know what?’ ‘Cause in the Invisible Man, he owns the eye in the end. Instead of going to the communist or the “we,” the communal or the collective perspective, he goes into the individual, the western perspective. David Yang: The way you wrote “The Sympathizer” was very powerful because even though he’s biracial, he’s in two roles of serving both communities and realizing he’s becoming more American, but still trying to be a spy. In the end he comes to his fruition. I think all of us was holding our breath to say, ‘He’s owning that he’s gonna be an American,’ or ‘He’s gonna own that he’s still Vietnamese,’ and as you had mentioned earlier, being two-faced and carrying two cultures. In the end he’s sitting at limbo. Viet Nguyen: By Adam Johnson. David Yang: I found it like a battle, almost like a counter-argument, which was really, really powerful to me as a hip-hop head who loves music and battling. I was like, ‘This is a battle. He’s literally putting out there from an API perspective. This is from an API man, writing from an API perspective. It’s not always about the “I.”‘ If you wanted to expand on that. Viet Nguyen: Absolutely. I think that “Invisible Man” was a really important novel for me. Read it in college, wrote a long paper on it, thought it was a beautiful novel; still think it’s a beautiful novel. But, I do have a disagreement with Ralph Ellison. Ralph Ellison published that book in the 1950s. It’s very much a book about politics and about communism and individualism. In it, the narrator, the invisible man wants to find out who he is, just like my character; becomes an idealist, becomes a communist, just like my character, and then discovers himself betrayed by communism, just like my character. Viet Nguyen: At the end, what happens is that the narrator of “Invisible Man” says, “Even though I’ve been betrayed and politics has failed me, there’s still hope. I’m gonna come out of my hole,” ’cause he’s hiding in a hole at the end of the book, and: “I’m gonna do something about this situation.” We don’t know what he’s gonna do, but he goes from being a part of the solidarity of communism, what they call the Brotherhood in “Invisible Man,” to being himself, the sole individual. Viet Nguyen: I couldn’t help but think, ‘Well, this is one of the reasons why “Invisible Man” was so successful in the 1950s.’ It won the National Book Award partly because it affirms American individualism at the expense of communism and brotherhood. I thought, ‘I don’t agree with that.’ I think, yes, you need to be critical of things like communism, but that doesn’t mean that it’s I’m either/or world, where if you’re critical of communism, you have to embrace the American dream. I knew that, that’s what people would expect reading my book, because it’s an entire genre: the genre of communist disillusionment, where people become infatuated with communism, then they reject communism and they flee to America; everything’s great. Viet Nguyen: So yes, this novel, “The Sympathizer,” is written very deliberately to do things that Johnson is not doing. I think Johnson is speaking to Americans; this novel is really meant to speak first and foremost to Vietnamese people, and then everyone else can listen in. That’s an important gesture for me, because I think as API’s or Asian Americans or minorities, the temptation is to always be aware of the white gays, the white audience, and maybe to orient ourselves towards that and speak to the white audience, speak to the white gays. Viet Nguyen: That’s how you get rewarded, because you speak first and foremost to white people and you translate for them. And that’s not right. White people don’t translate for us; they talk to each other, and that’s what they should do. We should talk to each other and everybody gets to listen in, just as we have to listen in to what white people say all the time. David Yang: Definitely. I think that’s what’s so powerful, ’cause writing from a API perspective, even when you talked about today, about just the refugee experience and not forgetting the refugees of today. It’s so easy for those who have assimilated or acculturated to say now, “We’re Americans,” and then forget about the journey that … whether they’re refugees from another country or they get treated like refugees … we talked about Katrina today. I think that’s something that I think you stated very clearly well in your argument today, but also in the book. Viet Nguyen: I grew up reading all those comic books in the 80s. I don’t think I know if I have a clear favorite, but I think what probably sticks in my mind the most is probably Spider-Man. Viet Nguyen: Sometimes I wonder, why? Because he wears the mask; you don’t see who he is. He’s a geeky nerd now. David Yang: He’s savvy, mentally. Viet Nguyen: He’s savvy, yeah. David Yang: Alright, that’s a good one. The next question would be, what is your favorite Vietnamese comfort food? Viet Nguyen: Favorite Vietnamese comfort food is obviously Pho. Everybody goes to that, but I can cook pretty good Bun bo Hue, for example. Anything from Hue is a comfort food for me. Viet Nguyen: In the decades that followed, you would get a new Asian American author every year or two, and that was great. Now, you get a new Asian American author every week; you can’t keep up. The reason why is, because we’ve been here long enough … the parents of sacrifice etc. Now, you can be an Asian American writer following a very clear track. You can become a Creative Writing major, get a Creative Writing Master’s degree, you can write a book about your Asian or Asian American experience, and New York Publishing or anybody wants that story. Viet Nguyen: Even though the model minority stereotype may be true in some ways … a lot of people want to go into the stem fields and all that kind of stuff … the point is, there are a lot of Asian Americans in college. Even if a small percentage of them go into the Humanities and then into the Arts, that’s still gonna be a good number of people, and that’s what’s happening. The model minority idea, the Asian Americans go to college, has had an impact on Asian Americans in literature because that’s how people become writers. David Yang: I just wanna say, thank you so much for this; I appreciate it. I’m a fan of your work, man. Keep doing what you’re doing. Keep fighting the good fight, bro. Viet Nguyen: Thanks so much. So glad to be on the show. David Yang: Thank you, man. David Yang: Yes, so you just heard the interview I had with Doctor Viet Thanh Nguyen, the author, the novelist, the writer for the book, “The Sympathizer,” “The Refugees,” and “Nothing Ever Dies.” He is just a fun guy to be around with, man. Humble, thoughtful, so very grateful for his time, his being gracious enough to sit down with us and interview. With that being said, I just wanna sum up the interview. After a couple days of processing it and thinking about his lectures, his readings, along with our interview. David Yang: Truth is, there’s so many things I took away from the conversation, but the two highlighted things I wanna cover are specifically this. This is my perspective from the interview and from the conversation I had with him: the message I was able to pull was that he writes to challenge the status quo, to create critical thought and conversation, to always help each generation that is coming from a immigrant or refugee background to always be reflective and thoughtful of their ancestors and those of their elders who paid the price and suffered for a lot of us to live in comfort. David Yang: Within that message I felt like he was very transparent about making sure most of us who are immigrants or refugees, as my family is, to never forget those that come after us, the incoming immigrants, the incoming refugees. For example, if you’re Vietnamese, you can’t be forgetting about the Syrian community of refugees. If you’re Armenian or Jewish, you can’t forget about the Somalian community or the Afghan community that’s coming in as refugees. As the privileged and the ones with a voice, not just one voice but a collective voice, a cacophony, as he said, of voices that would echo and create a bigger understanding of what the refugee experience was about, what the immigrant experience was about; ultimately serving as a voice for the underserved communities. I just think it’s really powerful, the message he delivers through critical thought and conversation. David Yang: I do wanna add this on a personal note: I see every day a lot of us who live in privilege that really do forget where they come from. It’s crazy because when you live in privilege and you have opportunities, it’s easy to just totally get caught up with your own self-worth and forget that you were once that broke starving student that needed financial aid and guidance. You had somebody in your family that spoke broken English and didn’t know how to communicate appropriately; or someone in your family who’s fighting to get a minimum wage job or a job under the table to break out of the cycle of poverty, and needed assistance from the government. David Yang: All these things that a lot of immigrants, slash, specifically refugees struggle and suffer through. That is why I found it amazing and inspiring that he wrote to create fire and to create conversation and critical thought, and some anger around his writing so that there would be conversations, real conversations and it would become personal. If it’s your passion and if it’s your purpose … I truly believe this … then you should take it personal. David Yang: I think it’s funny and corny when people say, ‘It’s all business.’ Because for them, it’s not personal. For them it’s not their passion or their purpose. In the interview you hear and our first question I ask him, he talks about that. I just think it’s really powerful the lesson I pulled away from that. David Yang: The second message I was able to pull away from it was about his dedication to his craft, his art. He talks about his investment in years into his craft, how long it took to write is novel, how long it took to write his short story novel, “The Refugees.” Off camera, we got to talk a little bit about just the research he put behind the work, but he had answered this a few times for students that asked him this question: what was the process like to write a novel? We had shared in an interview … obviously, in the interview he talked about how long it took him to write, “The Sympathizer.” But the crazy thing was, the short stories of “The Refugee” was something he had compiled over 17 years. He talks about the hours and hours of investment he took to write and write and better his craft. David Yang: With that being said, I humbly owned the fact that I still have to put in hours to better my craft in podcasting. But there are things I know in my profession that I put in years and years and hours and hours of working. So I’m comfortable in adverse situations because it is my craft. The message I was able to grab, ultimately, was that there is no shortcut to success, there’s no shortcut to mastering your craft. David Yang: 10 thousand hours is earned. I’ve seen people so focused on trying to be an overnight success. Instead of being humble in their craft and being focused on becoming masters of their craft, they’re focused on their ego, and they’re not focused on actually getting better. They talk the talk but they don’t walk the walk. They take shortcuts; but in reality you’re playing yourself, because there’s no way around hard work, and there’s no such thing as an overnight success. Your talent may get you so far, but you gotta put the hours into actually mastering the craft and the skill. I can only speak for myself. I enjoy learning, I enjoy learning the process, discovering new things, doing research, and ultimately creating something original or as innovative as possible. David Yang: With that being said, I also acknowledge the fact that we all need help. We also need to be humble enough to ask for help, to get feedback, to be critically analyzed so we can be better at our craft. It’s a thin line, but I really feel like you have to be mindful about putting your hours in. I don’t wanna go too off on this. We’re gonna touch on this more on Episode 10, so check that out. David Yang: But the messages and the lessons I was able to learn and grab from Viet Thanh Nguyen, I’m very grateful for. Again, I wanna thank him for giving us time to do the interview, being gracious. Such a humble and thoughtful and well-spoken man. The brother did not have to give us an interview, but he’s real, he’s genuine. Real recognize real, game recognize game. Mad respect for the man; so very thankful. We thank him for his time. He does listen to this podcast too, so I just wanna thank him for that. David Yang: With that being said, this is Episode nine. I thank you all for tuning in. Again, follow us on Facebook, on Instagram, on Twitter. Shoot us questions. We got a lot going on. We’re excited about the summer; we got a short film series coming. All the details about Viet Thanh Nguyen’s books will be on our social media feeds. If you look at the details on the podcast below, you will find our Facebook link, our Twitter link, our Instagram link. I wanna hear your feedback. Go ahead, email me, text me. Hit us up on social media, man. Let us know what you guys think about this interview, if you have questions, etc. Hit us up. David Yang: With that being said, you know what it is. Can’t stop, won’t stop. Professor D, one time for your mind, one time. This is the State of RE Podcast. Thank you for tuning in. Look out for us again. Episode 10 will be around the corner. With that being said, I am Professor D, signing off. And remember everybody, we are relationships and who we invest in. D. Out.